Built by W. Cramp & Sons of Philadelphia, Finland was launched in 1902, and made her maiden voyage (New York-Antwerp) for Red Star, under American flag, on 4 October 1902. 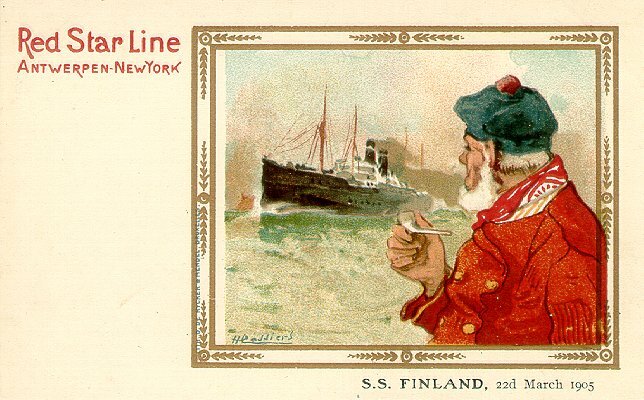 She sailed primarily on that route, Red Star's principal service, but in the spring of 1909, Finland made three Naples-New York roundtrips for White Star, and during 1914-15 sailed on New York-Liverpool and New York-Mediterranean routes for Red Star. 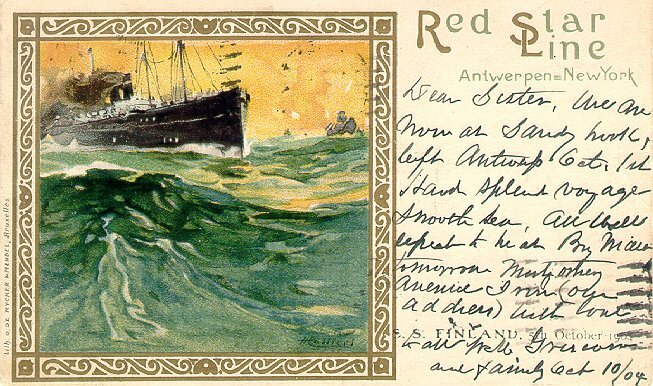 Along the way, by at least January 1909, she began sailing under the Belgian flag. 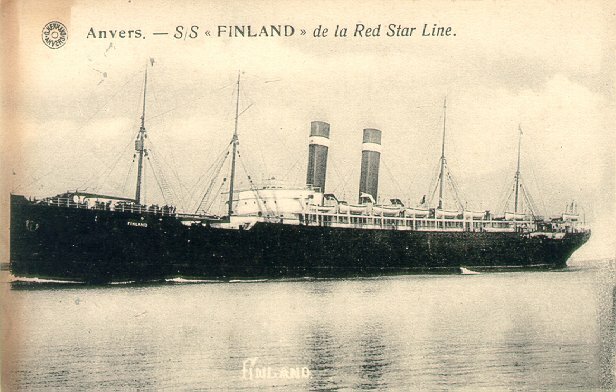 In 1912, back on Red Star's Antwerp-New York service, Finland reverted to flying under the U.S. flag. In April 1915, she was chartered to Panama Pacific for six months, on a New York-Panama Canal-San Francisco route. 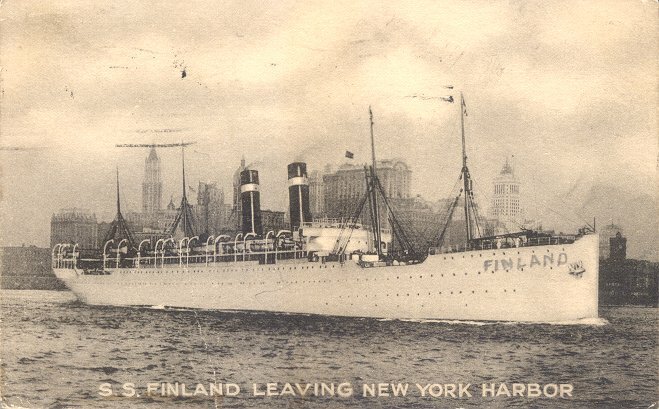 She returned to IMM service -- International Mercantile Marine Co. owned Red Star, White Star and a number of other lines -- and was placed on the American Line's New York-London and New York-Liverpool services until she was taken over as a U.S. troopship in 1917. Although she was torpedoed off France in 1917, Finland survived both that attack and the rest of the war, and returned to service in 1920. She ran on Red Star's Antwerp-New York route and American's New York-Plymouth-Hamburg route before being sold to Panama Pacific in November 1923. Finland was scrapped in 1928.